Over the last 5 years more putter companies have popped up making incredible equipment than ever before. In the current issue of THP: The Magazine available now, we take a look at quite a few unique companies and the designs they are making in a feature we call Style.Art.Performance. It is a piece that truly showcases what companies are doing with creativity, while still maintaining the performance that so many are after. 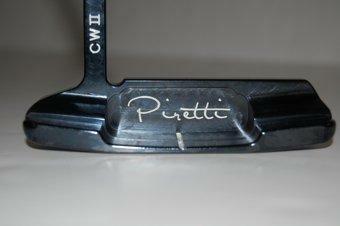 One of the companies featured in that article was a fairly new favorite called Piretti Golf. 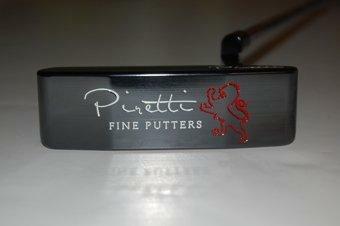 Piretti Fine Putters was established in 2008 with a goal of providing premium milled putters at reasonable prices. Our focus is on superior craftsmanship, using the finest materials available. Piretti’s designs are classic while maintaining a modern edge. We refuse to cut any corners during the manufacturing process, which is why we choose to mill all of our putters out of solid billets of material. 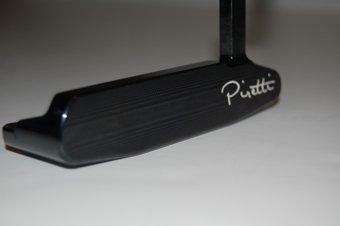 Piretti does not offer a cast putter because we feel we get much tighter tolerances by milling them in a CNC machine. 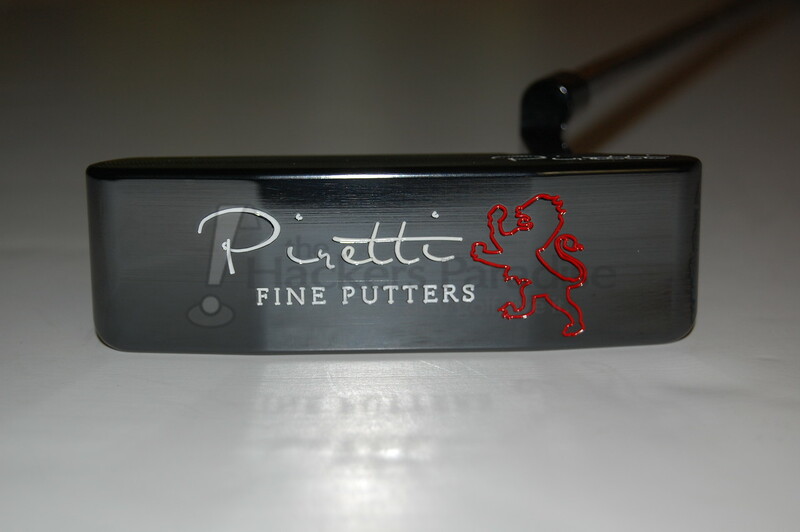 All Piretti putters are made and crafted in the United States. Our designs feature a heavier head weight to help smooth out the putting stroke and improve accuracy. Many golfers play with too much loft on their putters, which causes the ball to skip at impact. Too much loft means a golfer will have distance control issues and will have a more difficult time getting the ball rolling toward the hole. We design our putters with 2.5 degrees of loft which allows for better speed control and helps with distance control. We offer several models and continue to develop new designs and configurations to help our customers improve their short game. 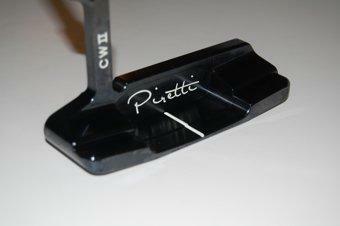 The Cottonwood II is Piretti’s newest addition to the putter lineup. It is the first one piece precision milled putter Piretti has designed and manufactured since the company began two years ago. Mike Johnson, head designer of Piretti Fine Putters made what he feels is the softest feeling putter head on the market. The Cottonwood II Carbon is precision milled from a billet of 11L17 carbon steel. It weighs 365 grams and has a 4:00 toe hang. With the sight line and extra width of this putter it is the easiest putter of this style to line-up on the market. The extra weight was added to this model to help smooth out the putting stroke and improve accuracy. The Cottonwood II has a full shaft of offset preferred by many and has an incredible amount of custom options. With our experience with Piretti putters in the past, we were excited about the opportunity to take the Cottonwood II for a test drive. When the box arrived we ripped it open and gazed on in amazement. With the previous models THP has taken a look at, we were always intrigued by the “garage like” and “industrial” look of their equipment. The Piretti Cottonwood II PN is unlike any previous putters from them in our minds and at first glance has changed the way we might view the company overall. Gone are the industrial looking edges and what we saw was complete refinement and overall beauty. The maintenance free black finish offers up a glossy like appearance that is only rivaled by those grand pianos you see. The edges have been smoothed out and the milling is absolutely divine. One look at this piece of equipment and everybody at THP HQ was left wanting more. Due to demand of trying this beauty, THP decided to head over to the putting green and get everybody’s feedback at once. One by one golfers lined up for the opportunity to try this one out and one by one, the feedback we were getting was over the top. It was as if we were watching an infomercial the way golfers not affiliated with THP or Piretti were raving about the new Cottonwood II PN. The looks were the first thing that everybody was marveling at, but after that, the putter still has to work, and this one delivered in every single way. What started out as a concern for many of the players, ended up being a blessing as everybody was enjoying the extra head weight found in this model. At 365grams players felt as though they might struggle with distance control on the longer putts, but in reality what most found was that the extra weight help keep their hands steady and their stroke on line. While some worried that feel would be compromised due to the heavier weight, it was exactly the opposite as the descriptive terms were flying out of mouths as the testing was going on. “Buttery soft, Smooth, Velvety at Impact” and so many more were being muttered that is was hard to stay focused on the task at hand of watching and listening, as opposed to grabbing this piece of art in the shape of a putter back and rolling it myself. The audible tone at impact mirrored that of the feel, in that it was plush with a nice high pitched ping that left you wanting more. While the feel was incredible, the sound was amazing, and the roll it put on the ball was perfect, when speaking with each golfer after they had time with the putter, it became apparent what was the #1 deciding factor in why people were enjoying the new Cottonwood II PN so much and that was the looks. We touched on it briefly above, but it deserves to be stated again. The black/white contrast of the putter head and the alignment aid worked so well that you crave more after each putt. Having the entire club done in the midnight black was gorgeous, and then adding the single line alignment, as well as all of the other stampings in white add to its near mystical beauty. Piretti also included what is quickly becoming a classic logo on the sole of the putter in a deep red to show off even more contrast. The entire package is quite the departure from what we have seen in the past from the company, and while we loved the previous efforts, this is a step up in the aesthetics department. Choices! What we found out after spending a few weeks with this putter is that consumers now have many more choices than before in the high end putter market. Wait! Did we say high end putter market? That is usually in that class of $299 and up putters and this one comes in at a shocking $245. If Piretti had told us that the new Cottonwood II PN was $325 we would have thought that was about right. At $299, it would have been a solid buy, but at $245 it was almost hard to believe. When you add in the custom ability of having the perfectly fit lie angle, length, and a few other choices, this one is hard to pass up. Its a rare case that we see such incredible high quality, great looks, wonderful feel, and great performance in a package that comes in at less than most in its class. Kudos to Piretti for stepping up to the challenge. You can read more about this putter, or any of the other fine models that Piretti has out at their new website at www.pirettigolf.com. That is just gorgeous. Love the price, too. Beautiful design and finish. Need to get my hands on one. I love that putter! Thanks!! !